Stage adaptations of French author Michel Houellebecq’s novel “Submission”, in which a Muslim president takes power in 2022 France, have been a hit in Germany where a huge Mideast refugee influx has stoked fears of the impact of Islamic culture. The first German theatre version sold out in the northern city of Hamburg, while in Dresden, birthplace of the Islamophobic PEGIDA street movement, a play premiered last weekend, with a third adaptation planned for Berlin in late April. “It seems like it’s a very timely story because everybody, each in their own way, picks up on a point of the topic that concerns them,” actor Edgar Selge, who plays the central character Francois in Hamburg’s Deutsches Schauspielhaus theatre, told AFP. 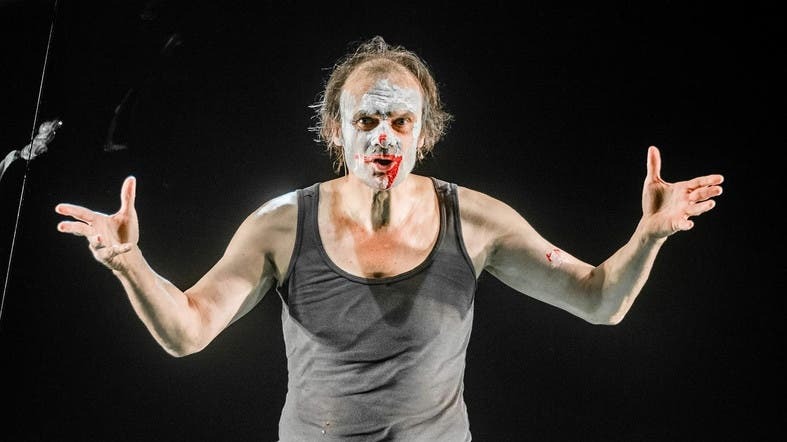 In the monologue play, Selge stands on stage for nearly three hours, embodying an opportunistic and spineless academic, a loner who is slowly seduced by a new life under Islam and becomes a political force who rises to the French presidency. The influential weekly Die Zeit said that “‘Submission’ describes how a pre-modern Muslim ideology turns Western society upside down, how women are denied their rights, how acceptance fades for the central values of the West. “Does that remind you of anything?” it asked.